Hallowell bed and breakfast travel guide for romantic, historic and adventure b&b's. 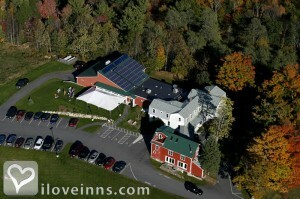 Browse through the iLoveInns.com database of Hallowell, Maine bed and breakfasts and country inns to find detailed listings that include room rates, special deals and area activities. You can click on the 'check rates and availability' button to contact the innkeeper. The town of Hallowell in Maine covers two sides of the Kennebec River. This unique location makes the town fortunate to have several scenic destinations. Hallowell also happens to be a town with a rich historical legacy. The buildings and structures in the town date back to the late 1700s. Just across the town is Hallowell Island, covered with lush vegetation composed of pines and fir forests. The island is also rich with wildlife. Visitors who want to catch history of the 1700s and the 1800s here should view the paintings displayed in Harlow Gallery. The gallery is also known for its modern artworks. Hallowell bed and breakfast inns are strategically located some giving guests a great view of Kennebec's calm waters. Other interesting sites in the area include Gaslight Theatre and the Area Board of Trade. By Maple Hill Farm B&B Inn. Hallowell is brimming with arts, culture, and history in this small community nestled on the banks of the Kennebec River. Downtown is a National Historic District with a vibrant music and arts scene, and numerous bars, restaurants, specialty shopping, antique shops, and art galleries, all in a compact downtown area that is easily walkable. Hallowell also has an unspoiled rural countryside including Jamie's Pond wildlife area with miles of walking/hiking/snowshoeing/skiing trails, as well as the historic Vaughan Woods. By Maple Hill Farm B&B Inn.